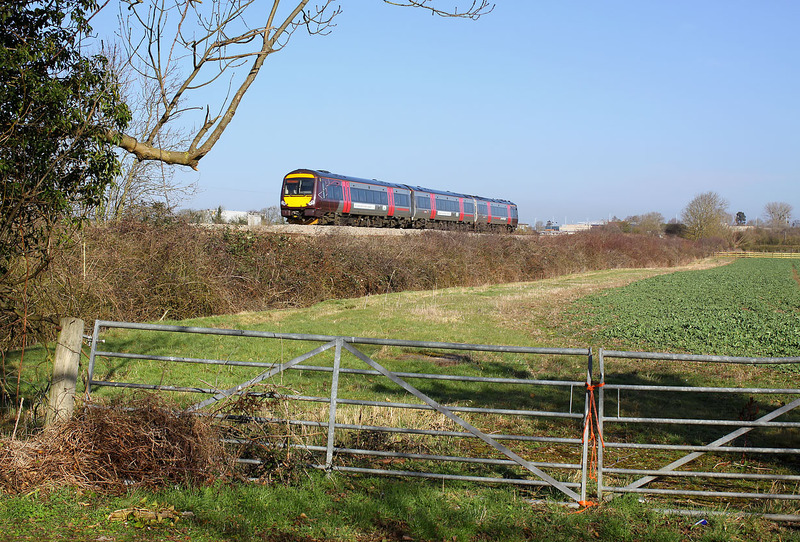 170639 speeds past Natton on 6 March 2012 with the 1V05 08:08 Nottingham to Cardiff Central CrossCountry service. Ironically, and totally unintentionally this is exactly three years after I last photographed a similar train at this location. Despite being taken on the same date in March, the difference in vegetation and the quality of light is quite noticeable.